In the mobile customer journey, users often see or engage with multiple ads before choosing to download an app. 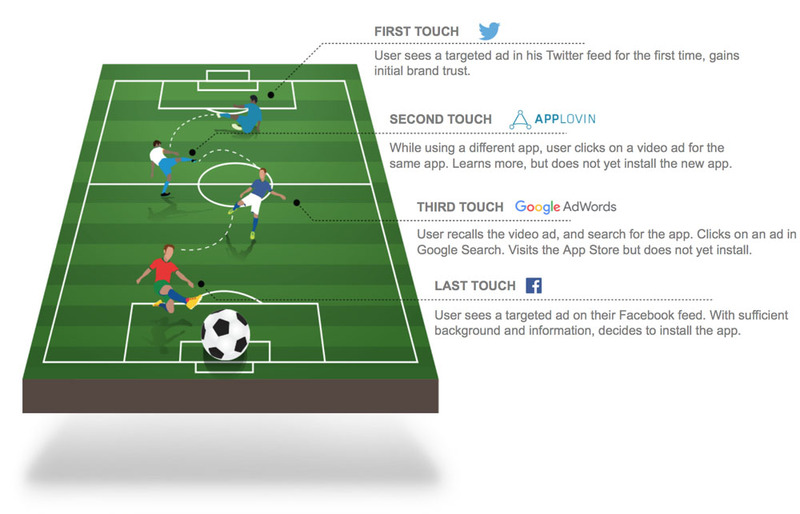 Though the “last-click” determines which media source will be credited with driving the install, AppsFlyer’s multi-touch attribution provides marketers with insights into which sources “assisted” in the install. For example, while a particular video campaign may not be the marketer’s top source of generating installs, this campaign may help or assist in driving higher quality users by educating them or building awareness earlier in the funnel. Assisted install data is key to identifying click flooding fraud and click hijacking fraud.